The on-air story about The Living Great Lakes. Scroll down for the full interview with Jerry Dennis. The Kalamazoo Public Library recently announced its Reading Together selection for 2015. It’s called The Living Great Lakes: Searching for the Heart of the Inland Seas by award winning Michigan author Jerry Dennis. 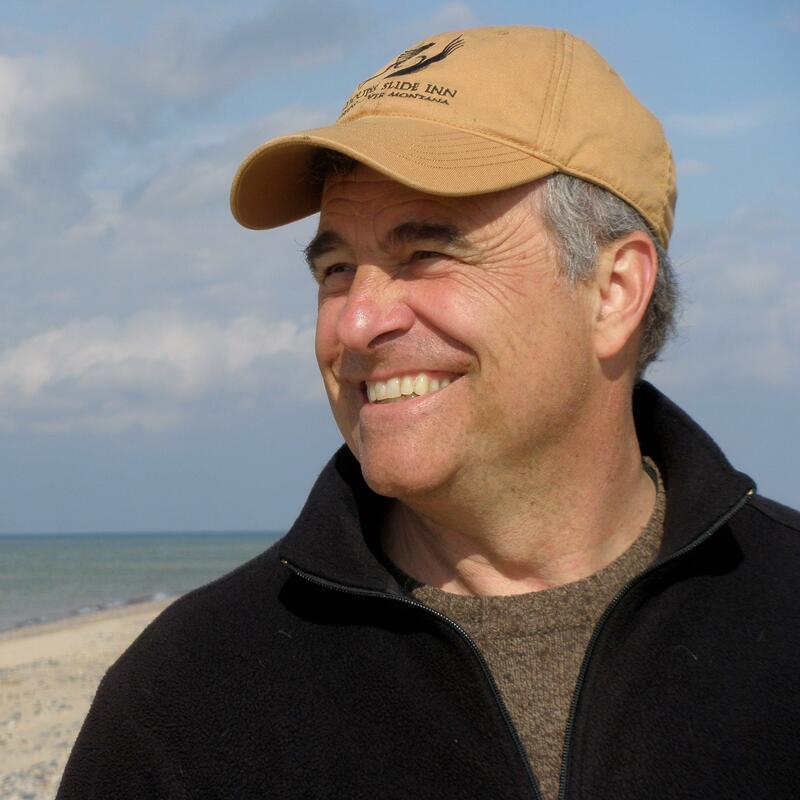 The book combines Dennis’s journey across the Great Lakes with the environmental issues that shaped the lakes history. Dennis and his crew sailed through four of the lakes (excluding Lake Superior) and through canals and rivers to Bar Harbor, Maine. Most of the crew were ocean sailors. Dennis says it was interesting to hear their take on the Great Lakes. Dennis says the environmental health of the Great Lakes has been on the minds of the American public since the 1960s. There were several causes that environmentalist rallied around, like the Cuyahoga River catching fire and the pollution problems in Lake Erie and Green Bay, Wisconsin. "The controversy of course was over whether this was a problem that needed our attention or whether needed to let the economy have its way or let industry have its way," Dennis explains. "And I think that controversy has slackened quite a lot because now we're recognizing across all boundaries, all partisan viewpoints that a clean environment is good for the economy." But that doesn't mean that the battle between industry and the environment is over. Dennis cites the Enbridge near the Mackinac as an example. He says the coast guard has even stated that if an oil spill like the one on the Kalamazoo River happened there, they would not be prepared to handle the situation. During the trip, Dennis explored several shipwrecks. He says he came across an 80-year-old man in Canada who spent his life exploring shipwrecks in Lake Eerie. Dennis says the man identified an area that he thinks has the most shipwrecks on Earth, near Long Point in the middle of Lake Eerie. It's a big sandbar that juts out to almost the middle of the lake, leaving early ships that ran aground to be tossed by fierce storms. Dennis says the best way to insure future generations will become good stewards of the Great Lakes is to take them out to the lakes as much as possible. "When they get out on the water on a boat or on the beach of the lake, their reaction is the same as yours and mine, no doubt," says Dennis. "Where if you looked out you see this immensity, you smell it, you hear the waves, you see the gulls coasting on the wind, and something happens. You just feel a real connection to this unique place." Grand Rapids author, poet, and playwright Monica McFawn’s book Bright Shards of Someplace Else recently won the Flannery O’Connor award for short fiction. It’s a collection of 11 short stories based on that little assumption that we know exactly what someone else is thinking.